It is a privilege and great honour to be accepted to represent and swim for WDSC so acceptance of selection is mandatory. All selections are ultimately at the sole discretion of the WDSC Head Coach and are always in the best interest of the team. Team selection maybe changed at anytime up until the day of the event. 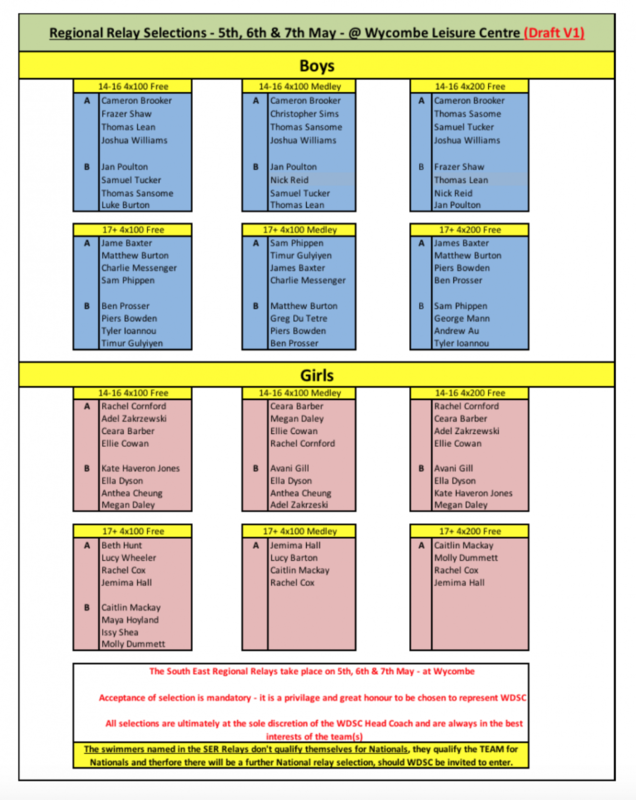 The swimmers named below do not qualify themselves for Nationals; they qualify the team for Nationals and therefore there will be a further selection for Nationals' relays should WDSC qualify and be invited. It is vital that you confirm your selection as soon as possible please via the WDSC website or email Kevin by 23:59 15th April 2018.